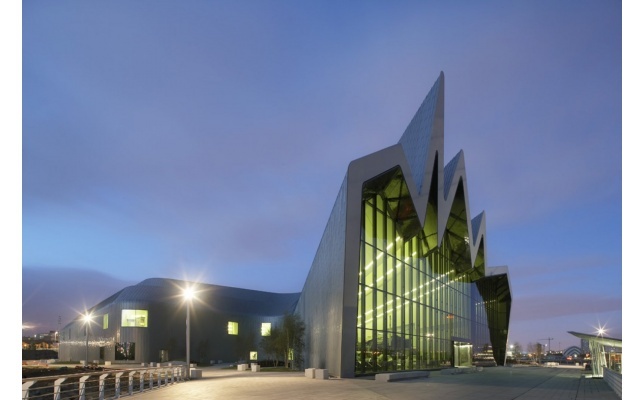 "The museum, a sectional extrusion open at both ends, its outline encapsulating a wave or pleat, flows from city to waterfront, symbolizing dynamic relationship between Glasgow and the ship-building. Clear glass facades allow light to flood through the main exhibition space." 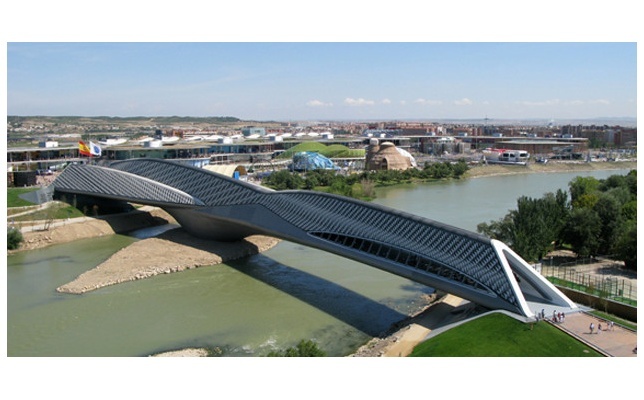 The Bridge Pavilion was designed for the 2008 Expo as one of the major landmarks for the event. Over 10,000 visitors per hour visited the Pavilion during the Expo. 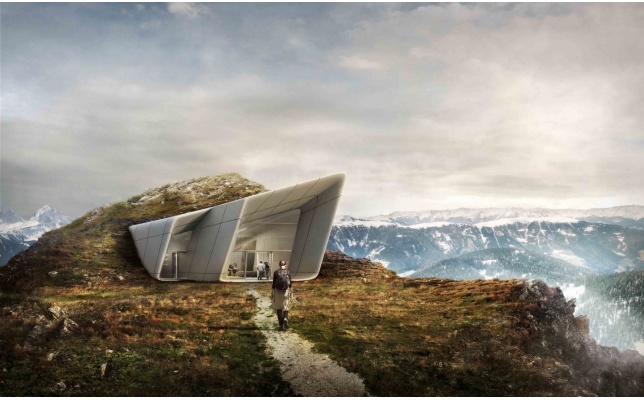 Zaha Hadid explained the concept of the design: "The idea is that the visitors can descend within the mountain to explore its caverns and grottos, before emerging through the mountain wall on the other side, out onto the terrace overhanging the valley far below with spectacular, paranomic views." Contemporary Arts Museum was Zaha Hadid's first American project. 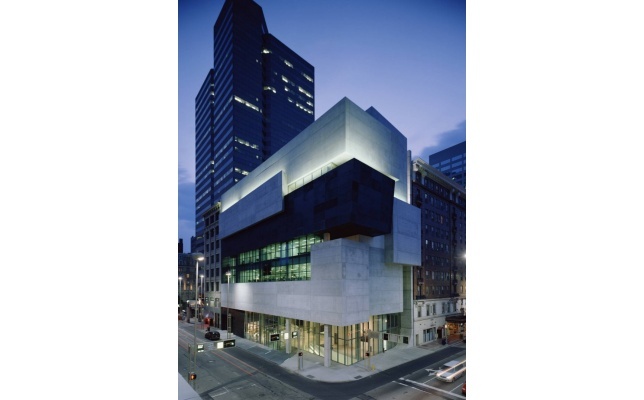 The NY Times called the structure "the most important American building to be completed since the cold war". As the primary cultural program center, the building was the first one designed as Azerbaijan gained independence and expresses the optimism of a nation. 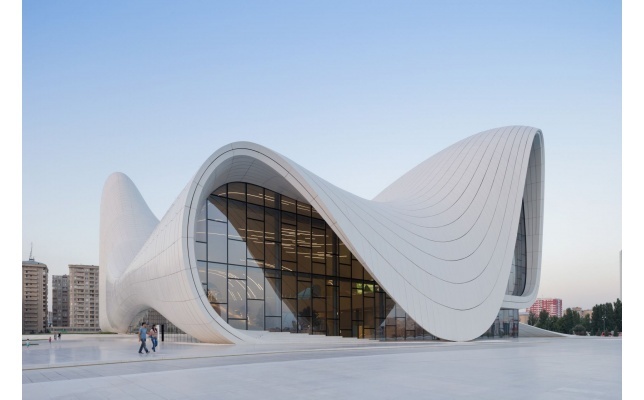 She won the Design Museum Design of the Year Award for Heydar Aliyev Center in 2014. She won the Stirling Prize in 2011 for the Evelyn Grace Academy, a Z‑shaped school in Brixton, London. "Following the principle of 'schools within schools', the design generates natural patterns of division within highly functional spaces which give each of the four smaller schools a distinct identity, both internally and externally." 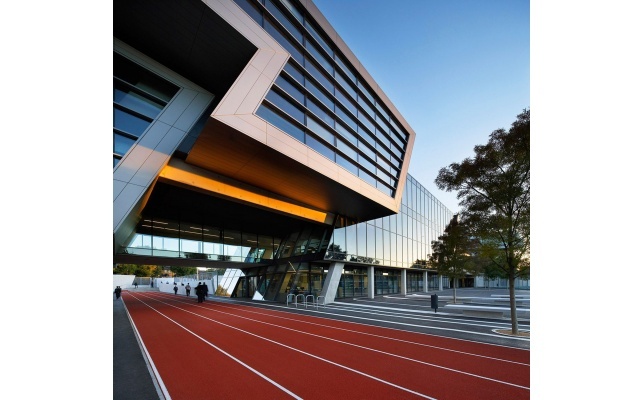 Zaha Hadid buildings are distinctively neo-futuristic, characterized by powerful, curving forms of elongated structures. Regarding her work, Hadid stated, "There are multiple perspective points and fragmented geometry to evoke the chaos of modern life." The Iraqi-British architect was the first woman to receive the Pritzker Architecture Prize in 2004 and she became the first woman to be awarded the RIBA Gold Medal in 2015. This blog post is related to the following tag Inspiration.